We have a whole raft of workshops devoted to helping you take care of yourself as well as using the harp to take care of others' needs. We have many presenters here this year, both in the workshop space and in the Exhibit Hall, to add to your knowledge about Therapeutic Harp. 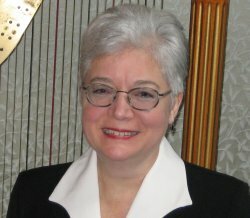 We have fewer Therapeutic Harp workshops this year, compared to years past, so if you're looking to delve deeply into this topic we suggest spending a lot of time with some of the presenters at their booths and tables in the Exhibit Hall. 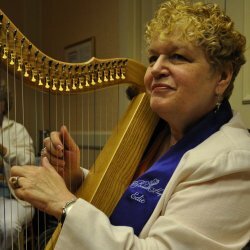 You'll find Bedside Harp, the Therapeutic Harp Foundation, the Music for Healing & Transition (MHTP) program, Vibroacoustic Therapy at the Musiatry booth, in every time period during the weekend. If you're already working in this field, be sure to check out the CEU list that follows to guide your workshop choices so you can earn Continuing Education Units. When we say "Take care of yourself" we mean it! All of the therapeutic music programs accredited by the National Standards Board for Therapeutic Musicians (NSBTM) require that graduates maintain continuing education. Please check with the program you’re certified through for their requirements. Somerset is proud to be part of this program. Listed below are those workshops MHTP has approved. Stop by the MHTP table in the Exhibit Hall to pick up the MHTP CEU certificate you'll need or download it here. Thurs. 1-2:30pm Cuban Rhythms Alfredo Ortiz Int. 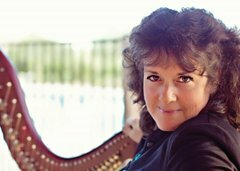 Fri. 9:30-11am Celtic Hymns Kim Robertson Int. Fri. 1:30-3pm Carolan a la Carolan Ann Heymann Int. Sat. 9:30-11am Badass Blues Martha Gallagher Int. Sat. 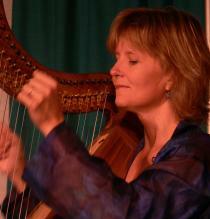 9:30-11am Contemporary Carolan Kim Robertson Int. Sat.10-11am I Always Wanted to Play the Harp Robbin Gordon-Cartier Beg. Sat. 1:30-3pm Fun with Scales and Modes Erik Ask-Upmark Int. Sat. 1:30-3pm Memorization Magic Sharon Thormahlen Beg. If you find a mistake in any of these schedules pages please let me know! Workshop descriptions and schedules are subject to change.